Ever wonder what it’s like to wake up and see dozens of marine species swimming around outside your window? It sounds like a Spongebob Squarepants episode, but one of Europe’s biggest real estate agencies is looking to make it into a reality for Dubai residents. Known for its astounding architecture, Dubai continues on the path of being one of most innovative cities in the planet with its latest project. 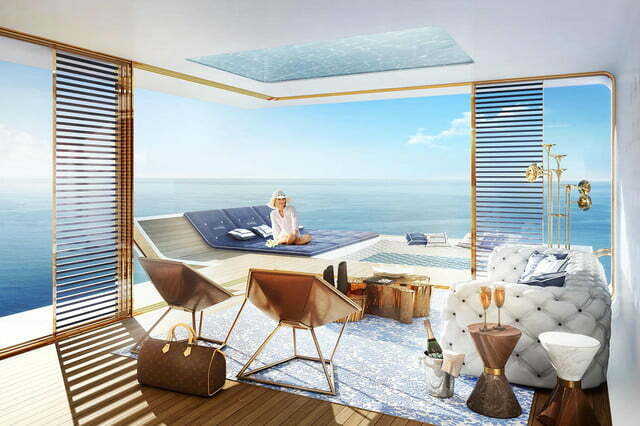 Kleindienst Group, a real estate and property developer based in Dubai, designed a series of luxury floating villas called the Floating Seahorse. 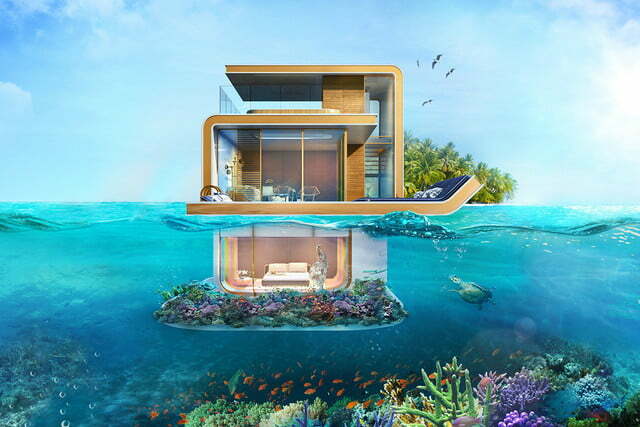 Bobbing along the Persian Gulf approximately 2.5 miles (4 kilometers) off the coast of Dubai, this luxurious apartment complex will consist of 42 homes. 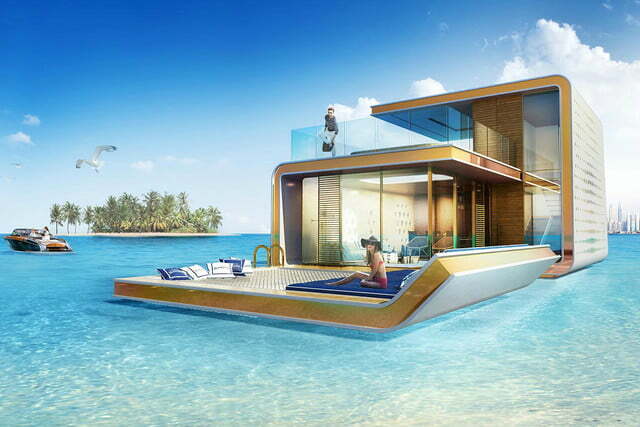 Floating homes will range from 1,700 to 4,000 square feet, with three levels, including a sort of underwater basement. The upper level will have a mini bar, jacuzzi, small kitchen, shower, and glass floor. A large living room, outdoor lounge area, a bigger kitchen, and dining area will be found in the center level. 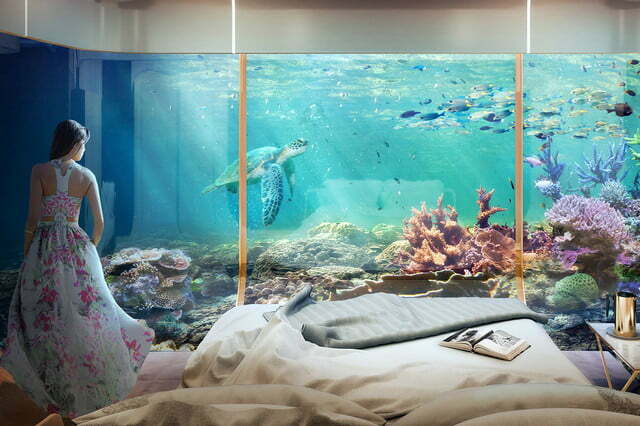 Last but not least, the lower level will be submerged under the sea and will contain the master bedroom and bathroom, making it almost like living in your own aquarium. The name of the project was inspired by the protection of marine life in the Persian Gulf. 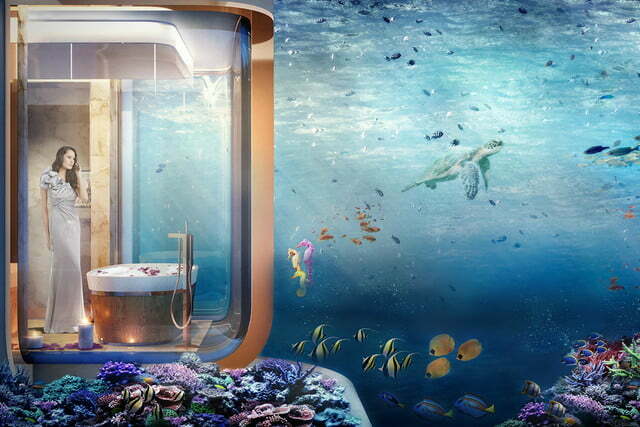 “We will create an artificial coral reef beneath the luxury retreats, which will be a protected area in which seahorses can safely live and breed,” the company said in a press release. The artificial coral garden is still under construction, so it’s hard to tell whether this will be a safe habitat for the sea animals. All 42 villas are scheduled to be completed by the end of 2016 and have already been sold to numerous investors, according to the Kleindienst Group. 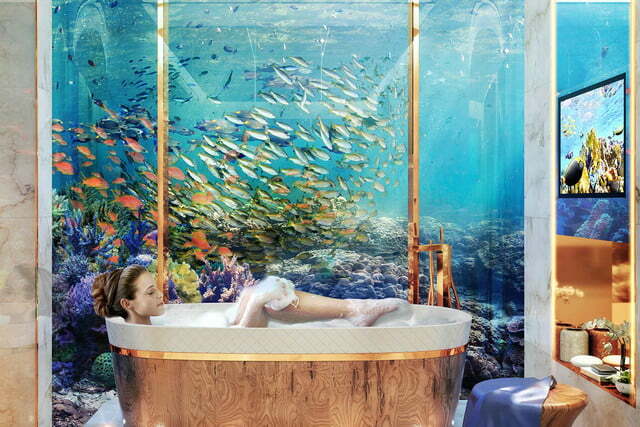 If you predict you can’t afford to buy one of your own, there’s always the Underwater Suites at Dubai’s Atlantis the Palm Hotel. Rates start at around $450 per night.